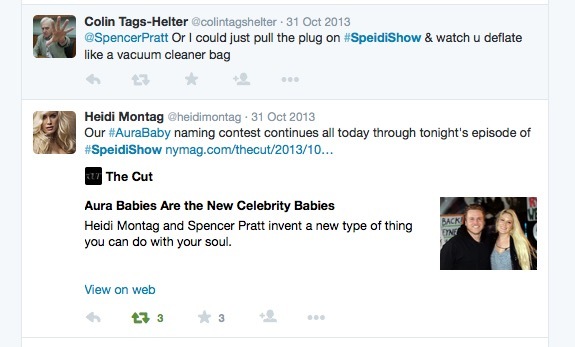 Reality TV stars Spencer and Heidi (aka Speidi) sought to collaborate with us on another netprov, and we got the idea of pretending they had a new show of their own and live-tweeting it. The imaginary show appeared out of the blue complete with an official website (with typography by Rick Valicenti), unofficial fan sites and a core fan base of featured netprov players. 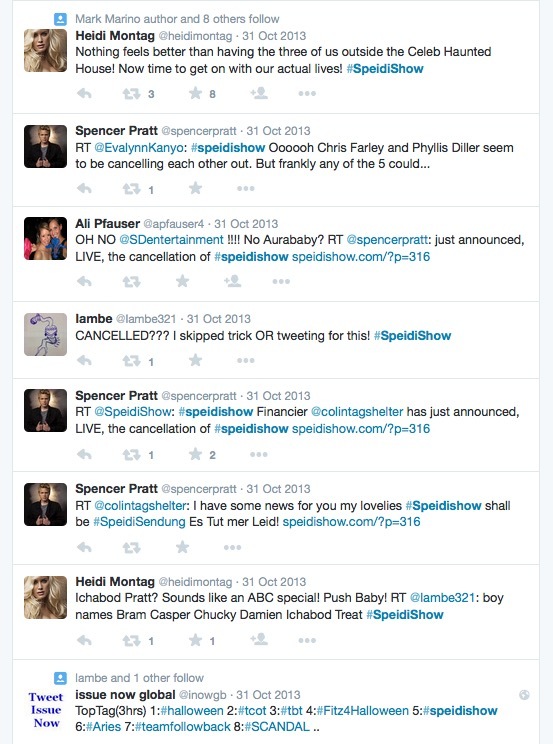 Shows were intensely live tweeted and fans debated hot topics from the show 24/7 for a full month. 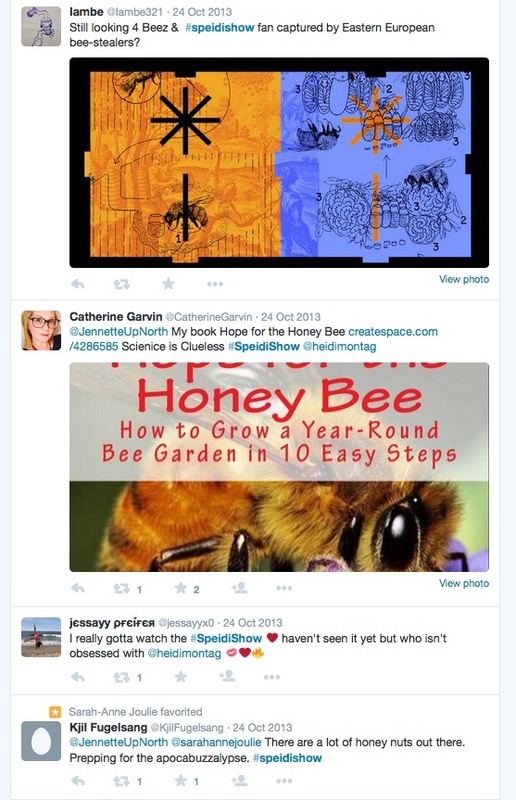 Spencer and Heidi loved the idea and let us use their official Twitter feeds to help get people’s imaginations going. Show episodes included Speidi, Fix My Relationship! 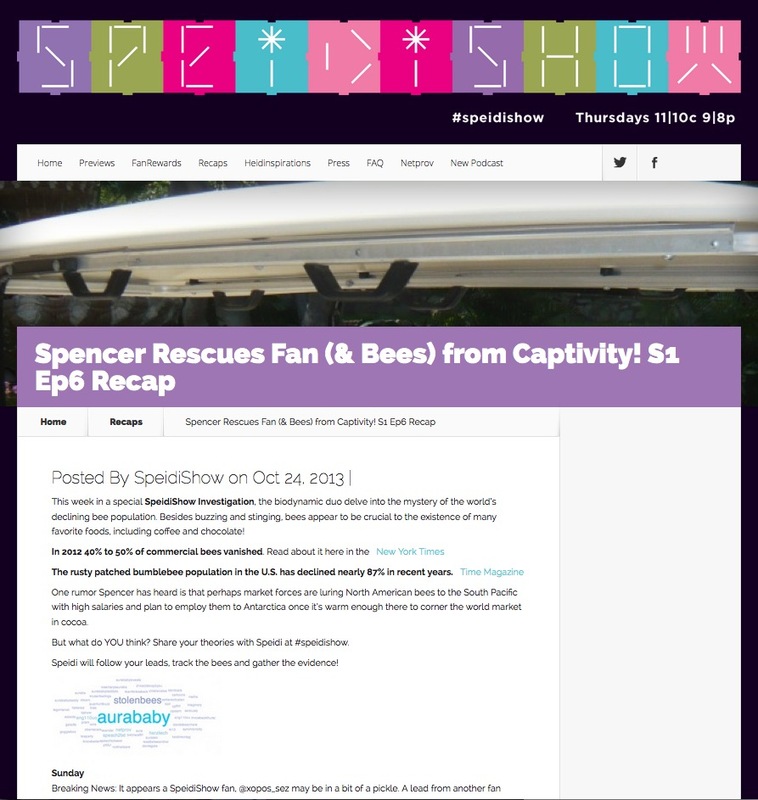 which got fans involved on Twitter, a double-elimination Yoga enlightenment contest (“You must now leave the ashram!”), Spencer solving the the ecological bee crisis by tracking down the bees — apparently stolen by Putin,— in their Siberian prison, and a Halloween night special Celebrity Haunted House featuring the dead and famous. The third episode aired last night, and the inseparable blondes live-catered a wedding for a VERY trusting couple.